Oppo’s N3 will be announced later this month, but Oppo is doing everything it can to drum up publicity for the phone ahead of the October 29th event. 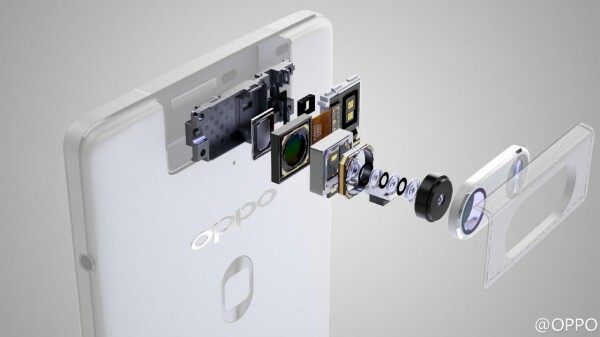 Thanks to previous leaks, we already know that the device will have the same rotating camera module that we saw in the Oppo N1 last year. 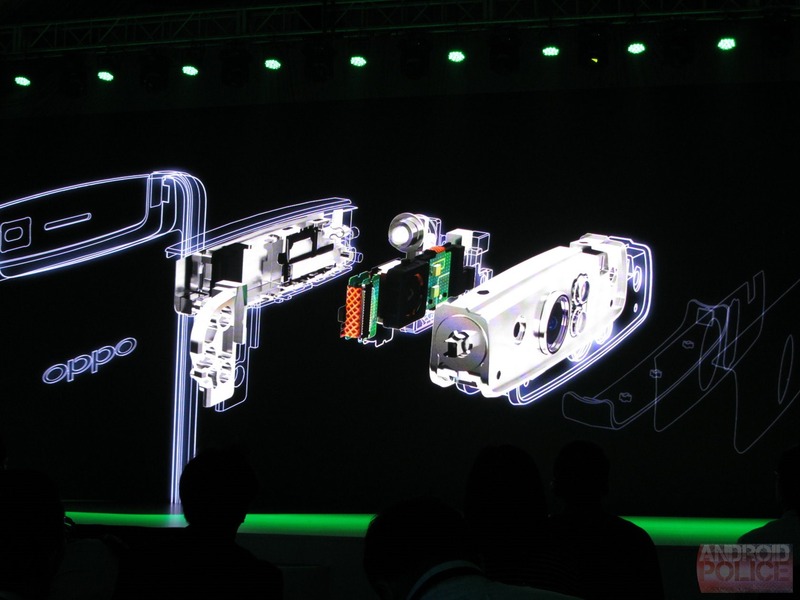 However, Oppo has just released a photo of the module itself and all of the individual parts that make up the N3’s camera. Though we’re obviously supposed to be looking at the camera’s components, this photo also seems to confirm the presence of a fingerprint scanner in the N3. Unlike the iPhone or Samsung’s flagship Galaxy, the fingerprint sensor on the Oppo N3 is not on the home key of the device, or even on the front side of the device. Instead, Oppo has placed it on the back, in a position similar to where the ‘M’ lies on the Moto X and Nexus 6. As an aside, you might have fun comparing this year’s camera module “leak” with the official photo of the N1’s camera module. The image below was snapped by Android Police at last year’s N1 event.